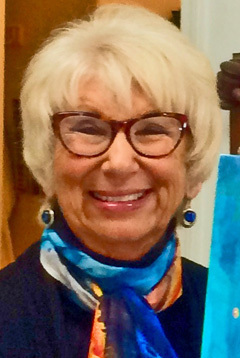 Surprise, Arizona artist, Nancy Christy-Moore, is an internationally collected, award winning painter celebrating the joy of color, energy and movement in her contemporary abstract original mixed media and alcohol ink paintings. My unique signature style of “Inner Painting” develops my colorful contemporary art from within on a subconscious level and reflects my love of horses, florals and energetic, free-flowing colors. My horse series results from a lifetime love of horses and speaks to the power and energy I connect with when painting them. My florals and abstracts reveal my underlying romance with color combinations and subtleties of texture. I have had over 20 solo exhibits, with two in Japan. I accept creative commissions and welcome working with clients and designers. For the latest exhibits and updates get added to my mailing list at nancy@nchristy.com.